WEST PALM BEACH, Fla. — The International Hot Rod Association (IHRA) continues the exciting Summit Sportsman Spectacular season at “Northern Ohio’s Place to Race”, Dragway 42, in West Salem, Ohio. With only a few days left to pre-enter, this is the best time to take advantage of the tremendous opportunity to buy one entry/get one entry free for Saturday and Sunday’s IHRA Summit Sportsman Spectacular. The double-race weekend for the IHRA’s exciting bracket racing program is scheduled for June 1-3, 2018 at Dragway 42, in West Salem, Ohio. The event features huge payouts on $10,000-to-win on Moser Engineering Saturday and $5,000-to-win on Sunday. Pre-entries are available until Monday, May 28, 2018. Click here for online registration. 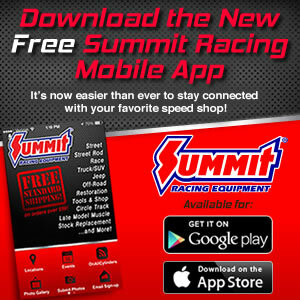 In addition to having the opportunity to get two races for the price of one, Summit Racing Equipment, headquartered just down the road in Tallmadge, Ohio, provides unique bonus opportunities for all current IHRA Summit SuperSeries racers. There are cash bonuses for the Summit SuperSeries member that goes the furthest in eliminations or wins the event.